Your new AccuWeather app is here! We listened to your feedback and created an award winning, free weather app that’s even more information and feature rich, and offers the same Superior Accuracy™ and great experience across all Android smartphones and tablets, including Nexus 10! 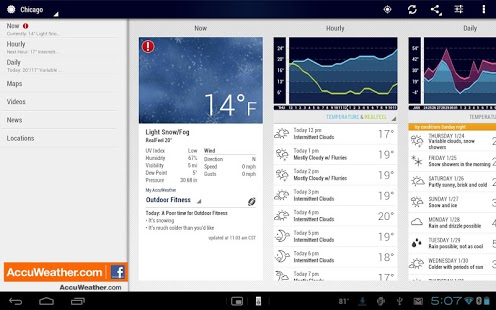 ;We worked closely with Google to include everything you want from AccuWeather and the Android platform, like customizable My AccuWeather forecasts and multi-location widgets, and optional weather graphs. 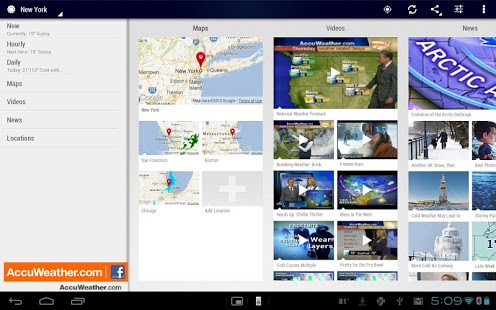 ;Weatherproof your day for free with these features;• Push notifications for severe weather alerts in the United States – now also included on tablets! ;• For worldwide locations, when AccuWeather forecasts snow, ice, rain, wind, or the probability of thunderstorms, you’ll see an orange exclamation point displayed within the location’s current and 15-day screens. ;• Customizable My AccuWeather lifestyle forecasts for specific health concerns and outdoor activities. Categories include: Outdoor Fitness, Travel, Respiratory Health, Fishing and Game, and Do-It-Yourself. ;• Home screen widget displaying two-day forecasts with severe weather warnings for your GPS location, and a time clock. Resizable, multi-location widgets are also now available with even more weather detail! ;• Radar for all of North America and Europe, and worldwide satellite overlaying interactive Google Maps™. A snapshot view of the maps for your saved locations is now available! ;• Current news and weather videos, with many available in both English and Spanish. ;• Social media sharing so you can share your location’s current conditions, hourly, or 15-day forecasts using the social media apps you already have on your device. ;You also get the accurate, local weather forecasts and the customization you expect from AccuWeather;• Accurate and local forecasts for nearly 3 million locations worldwide. Forecasts update every 15 minutes with information for the next 15 days – all in 27 different languages. ;• Current weather conditions update every 15 minutes with the very latest humidity and precipitation percentages, dew point, visibility, UV index, wind speed gusts and direction, times for sunrise and sunset, and RealFeel® – AccuWeather’s exclusive weather forecasting system that analyzes multiple weather factors to determine how the local temperature actually feels. 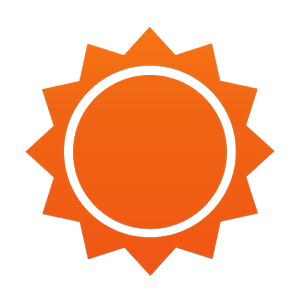 ;• Local weather forecast summaries that provide an overview of the next five days’ weather forecast along with a description of the most dramatic weather event expected during the five days. ;• Status bar on the home screen displaying the current temperature for your current or home location. ;• Ability to store an unlimited amount of locations. ;• Choice between metric or imperial units, 12-hour or 24-hour time display, and portrait or landscape view. ;Please note: Sunrise and sunset times are found in Daily Details which can be viewed by tapping on daily forecast. 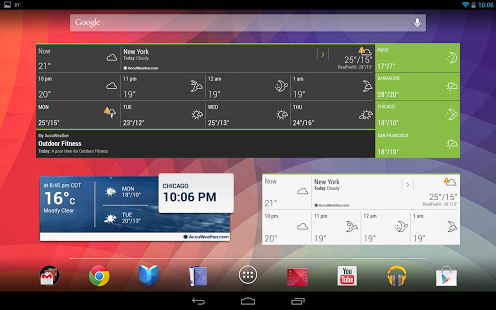 Also, AccuWeather Holo Dark and Light widgets display RealFeel® and can occupy only 4x1 space as before. We have added “Dew Point” and “Probability of precipitation” as per popular requests. ;Download the AccuWeather free weather app and start experiencing the most accurate and local weather forecasts available!